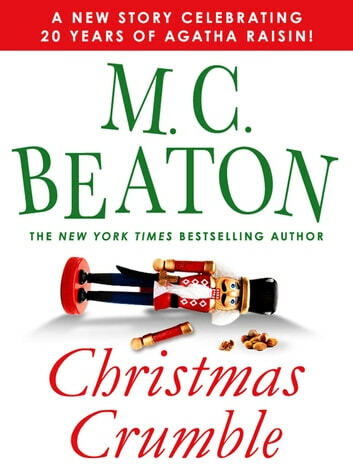 Christmas Crumble continues the tradition in M. C. Beaton's beloved Agatha Raisin mystery series—now a hit show on Acorn TV and public television. 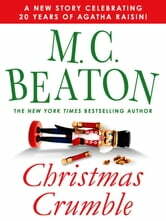 Deck the halls with boughs of folly this Christmas with Agatha Raisin, a modern-day Miss Marple, who Publishers Weekly calls "an absolute gem!" A delightful English cosy story. Agatha Raisin at her best. Read this at Christmas as you eat your Christmas pudding. Hilarity ensues when Agatha decides to throw a Christmas party for some lonely elderly people in the village. Agatha always means well but things seldom go the way she plans. This time she loses her temper and a man drops dead in her dining room. And investigation begins and even her friend Bill Wong finds it hard to take the case seriously. But someone in the village does take it seriously. Will Agatha close the case?